Here you can find the abstracts of my articles that have been published in international peer-reviewed journals. Where available, there is also a link to the full text. The articles cover the whole range of my research interests: EU law, comparative constitutional law and conflict resolution theory. In the Brexit referendum of 23 June 2016, voters in England and Wales voted to leave the EU, while in Scotland and Northern Ireland they voted to remain. Following that, there has been a debate about how it would be possible to achieve the continuing presence in the single market of the UK constituent nations that do not want to be taken out against their will. This paper explores two pathways for Scotland and Northern Ireland to remain in the EU and/or the single market. The first entails the achievement of Scottish independence and the reunifi cation of Ireland through democratic referendums. To this effect, the paper reviews the right of secession of those two constituent nations under UK constitutional law. It revisits the debate on the appropriate legal basis regulating Scotland’ s future EU accession and discusses the Irish reunifi cation from an EU law perspective. The second pathway explores how it would be possible for Scotland and Northern Ireland to remain in the EU and/or the single market even without seceding from the UK. In order to do that, the paper points to the remarkable fl exibility of the EU legal order as evidenced in numerous cases of differentiated application of Union law. The paper shows that the EU possesses the necessary legal instruments to accommodate the divergent aspirations of the UK constituent nations. 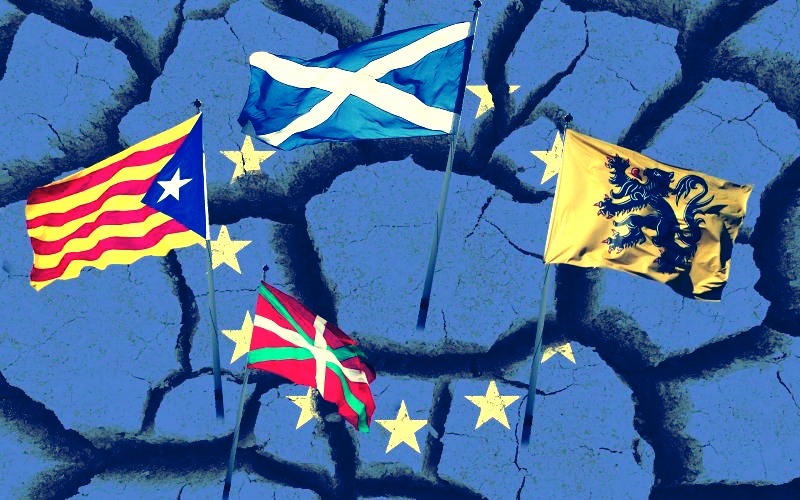 Tocci and Diez among others have argued that the European Union can have a positive impact on secessionist conflicts by linking the final outcome of the conflict to a certain degree of integration of the parties involved into European structures. In particular, according to this argument, it is the impact of conditionality and socialisation that might have a ‘catalytic’ effect on conflict transformation, thus emphasising both the direct and the indirect forms of EU impact. While the paper does not dispute that this is the case, it points to the many ways that the EU approach is conditioned upon the different contractual relationships between the Union and the relevant States. It argues that any linear conceptualisation of a catalytic function of integration and association in impacting intrastate conflicts fails to take account the flexibility shown by the Union to accommodate structurally within its legal order frozen conflicts such as the one in Cyprus. Instead, it proposes that while it is generally true that the closer the form of association with the EU, the stronger the potential to achieve the respective conflict resolution goal, yet paradoxically enough after the accession of any candidate State, the Union tends to accommodate the conflict within its political and legal order rather than mobilising its resources to resolve it. This is largely a result of its very limited legal toolbox that does not allow the EU to undertake a more active role in conflict resolution within its borders. In order to substantiate this argument, the paper compares the legal instruments available to the Union with regard to frozen conflicts that take place within the territory of Union Member States (e.g. northern Cyprus and to a lesser extent Northern Ireland) as compared with conflicts in countries that participate in the European Neighbourhood Policy (e.g. Georgia) and EU candidate States (e.g. Kosovo/Serbia and Macedonia). 3. 'The Birth of a Republic but not of a Nation: The Case of State-Building in Cyprus' (with N Kyriacou) 22(4) Nationalism and Ethnic Politics (2016) 456-477. The principle of bi-communality has been advanced as a founding feature of state-building in Cyprus. The purpose of the paper is to provide for a systematic account of the different variations of the bi-communal principle enshrined in the Constitution of the Republic of Cyprus and in the Annan Plan as the most comprehensive proposal for the reunification of the island. In order to achieve its scope, the paper focuses on the provisions concerning State institutions and citizenship. It argues that in all those constitutional structures State-building is not linked with nation-building. In fact, the acceptance of bi-communalism as a fundamental principle of the united Cyprus proves that the main concern has been the accommodation of the political tensions resulting from a divided society. 4. 'Comparing the Subnational Constitutional Space of the European Sub-State Entities in the Area of Foreign Affairs' 4 Perspectives on Federalism (2012) E-239-268. Foreign affairs have been traditionally seen as an exclusive competence of central governments. However, over the last 30 years, European paradiplomacy has been progressively developing not least because of the institutional opportunities that the Union composite constitutional order provides for the participation of the regional tier in its decision-making processes. The paper examines how the European multilevel systems have allowed for the creation of such ‘sub-national constitutional space’ enabling their constituent units to be active in the international arena. It does so by examining the treaty-making powers of the sub-state entities, the mechanisms that allow their participation in the foreign policy making of the central government and the implementation of the international treaties. Finally, it focuses on their autonomous external representation at the EU level. It argues that, despite conventional wisdom, States do not enjoy a monopoly of competences in the area of foreign affairs. On March 1, 2010, the Strasbourg Court delivered its decision in Demopoulos v Turkey. With this judgment, the Court allowed the building of what could be considered to be a transitional justice mechanism for the settlement of the property aspect of the Cyprus issue. Thus, it influenced the fragile balance in the current negotiations for the reunification of Cyprus. This article analyses this landmark judgment by tracing the reasoning of the Court to earlier case law on issues arising from the Cyprus dispute, discussing the discrepancies between the ECtHR judgment in Demopoulos and the ECJ decision in Apostolides v Orams, and referring to the political ramifications of the decision. This paper argues that, however desirable the absence of derogations from the EU acquis may be in abstract terms, the employment of derogations is a political issue that any comprehensive settlement plan would ultimately need to determine. Legally speaking, according to Union practice in general and Protocol No. 10 to the Cyprus Act of Accession more specifically, possible derogations from the acquis, which might be deemed necessary for the achievement of a settlement to the conflict, can be accommodated in the EU legal order. There are however some provisions of Union law that cannot be disregarded in the constitutional design of the unified Cypriot State, strict compliance with them being a conditio sine qua non. The paper presents a legal analysis of the partial application of the acquis in the “Areas” provided by the Green Line Regulation which consists, without being a panacea, of a first step in the economic integration of the island and for improving contact between the two communities. It addresses the issue by referring to the historical background of this legal Gordian knot analysing thoroughly the legal basis of the Regulation, and reviewing the relevant provisions with regard to the crossing of persons and goods.